Valid through April 22, 2019 at 11:59 p.m.
Online only. Not valid with any other offer, or on previous purchases. Certain exclusions may apply. SIGN UP AND RECEIVE 20% OFF YOUR ORDER! Aztec patterns add a modern element to these classic and comfortable knit ankle socks. They're the perfect pair to wear with your everyday sneakers. 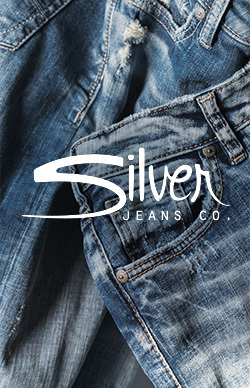 Returns and exchanges of unwashed and unworn merchandise purchased from SIlverJeans.com in its original condition with tags attached within 30 days of the shipping date. Please read our Returns Policy for more details.